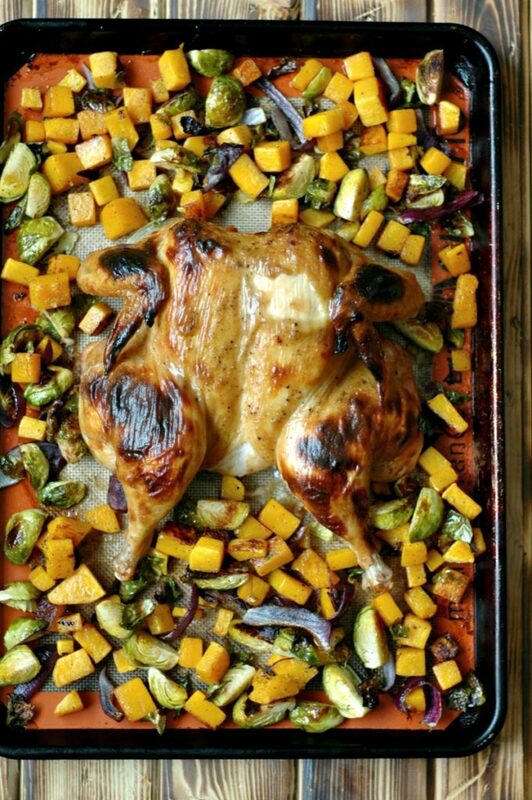 Sheet pan spatchcock maple mustard chicken is one healthy meal all on a couple sheet pans! I live for them. 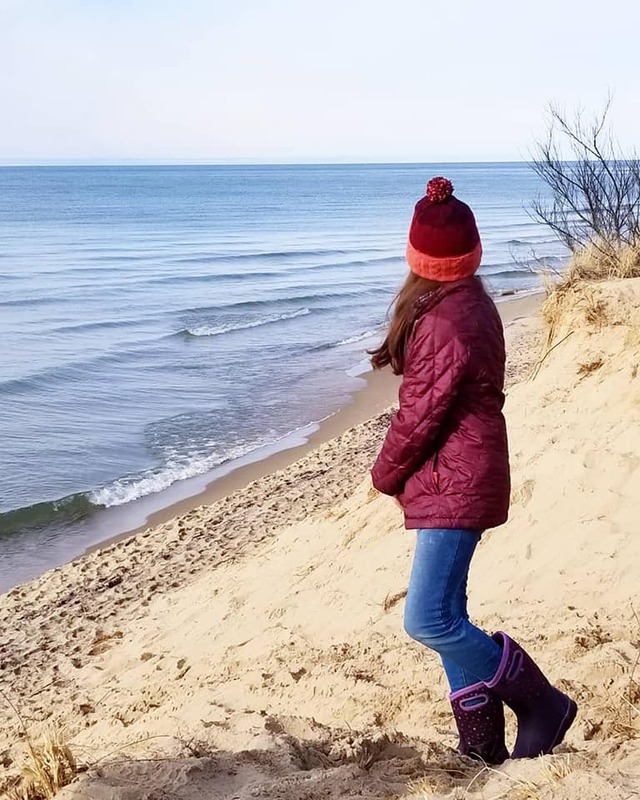 Well technically, I live for the opposite 5 months out of the year where we get to be at the beach every week, but in the winter months, a January thaw somewhere in the midst of our frozen tundra is pretty predictable, and it’s something I totally look forward to. We enjoyed just that this past weekend with over 40 degree temperatures! 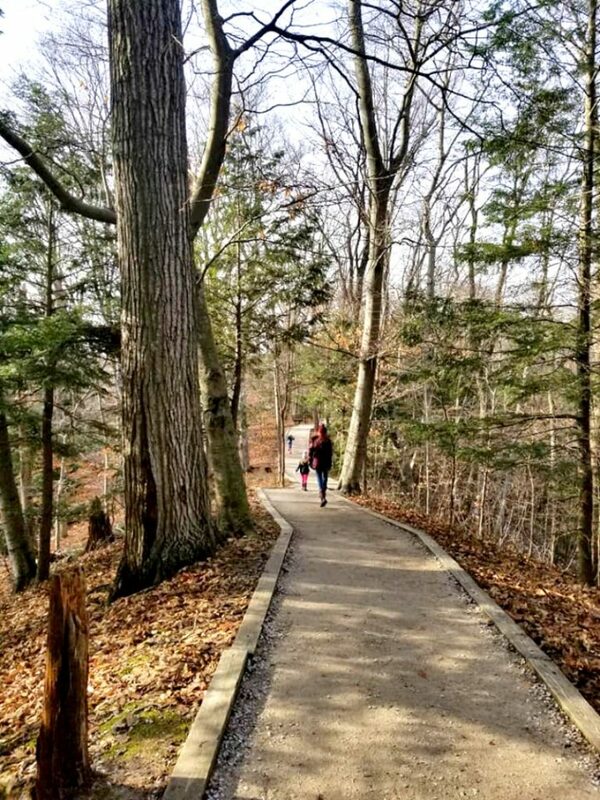 A few long hikes was exactly what our holiday dazed bodies needed, and we enjoyed watching a calmer side of Lake Michigan, trails that weren’t icy or frozen, and even a few glimpses of some sun. While 40 degrees is quite the heatwave for Michigan in the winter, we were still chilled to the bone when we came home, and flipping the oven on to roast some dinner for an hour was just what we longed for. I live for sheet pan dinners – a whole meal on a couple of sheet pans? Sign me up. This meal is low fussy and absolutely delicious. Warm, winter comfort food that can make an appearance on your weekly dinner menu throughout the cooler months of the year! Whatever you want to call it, we just love a juicy butterflied chicken! Splitting the chicken spatchcock style is easier than it looks to do, and it cuts the cook time down by about 1/4 of the time! Instead of a whole afternoon to slow cook, in around an hour, you can have super crispy, delicious skin with juicy and flavorful meat on the inside. 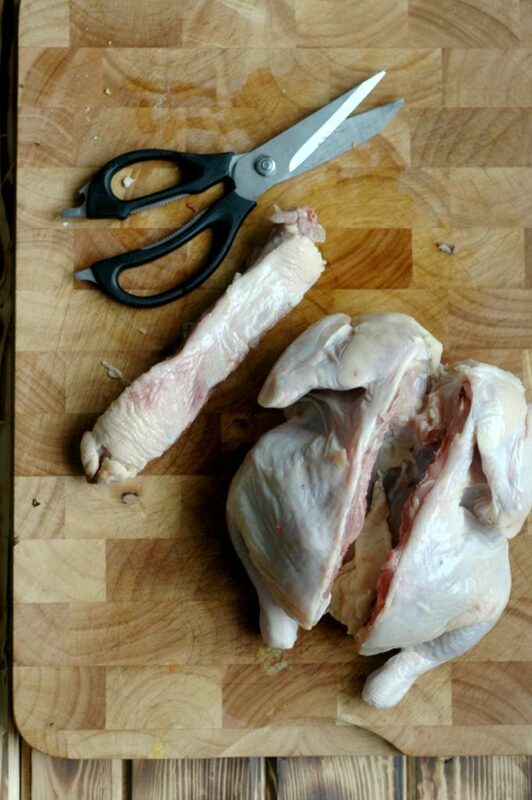 All you have to do is use kitchen shears to snip down the backbone of the chicken, and you’re set! The key to super juicy meat…. That butter! 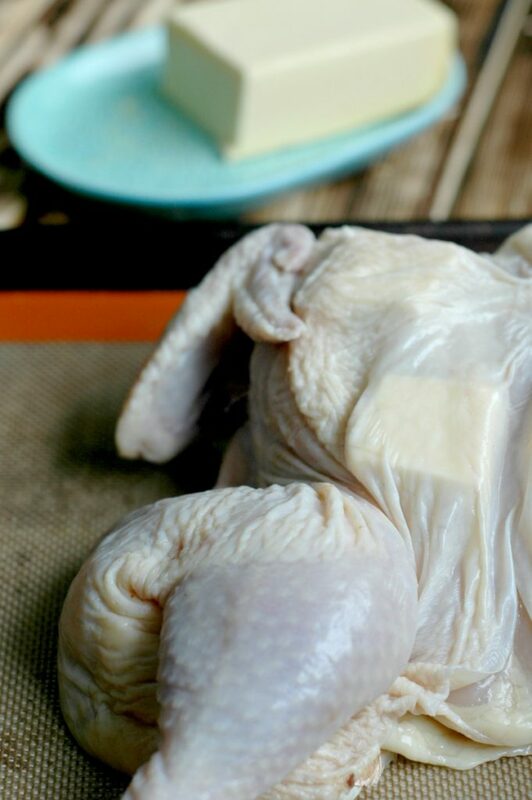 You can use olive oil or ghee of course, but if you tolerate butter, you are going to want to slide that right under the skin and let it baste the meat while it cooks. You’ll be so glad you did! Of course we’ve all heard of honey mustard, but have you ever tried maple mustard?! It is just amazing, and I can almost guarantee your kids are going to be completely in love. Slightly sweet and sticky, the outside of the chicken gets basted in this super kid friendly glaze that will have everyone asking for seconds. And with just TWO ingredients to whisk up in less than a minute, this easy peasy change up to a spatchcock chicken will be something you can actually put on the dinner menu rotation that you have time to make. Make it a whole meal on a tray momma! I’m telling you, once you go sheet pan dinner, you’ll never look back! I use sheet pan dinners more often than my Instant Pot or slow cooker – combined! *GASP*. Yep. Toss it all on the tray and hands free? Yes please! 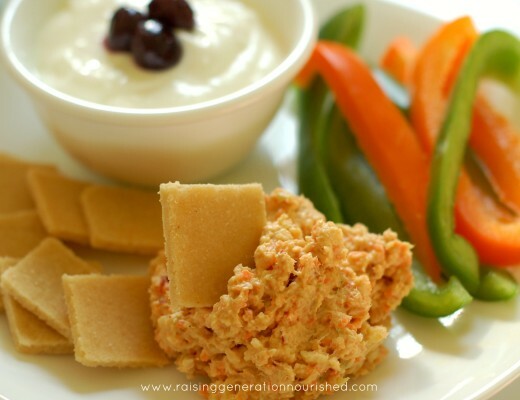 You can change up the veggies to what you have on hand – here are some ideas! Root veggie mix up! Just toss all those glorious winter roots on the tray – parsnips, rutabaga, carrot, beet! The possibilities are endless and changing it up not only keeps the meal interesting, it gets a variety of nutrients into your family! 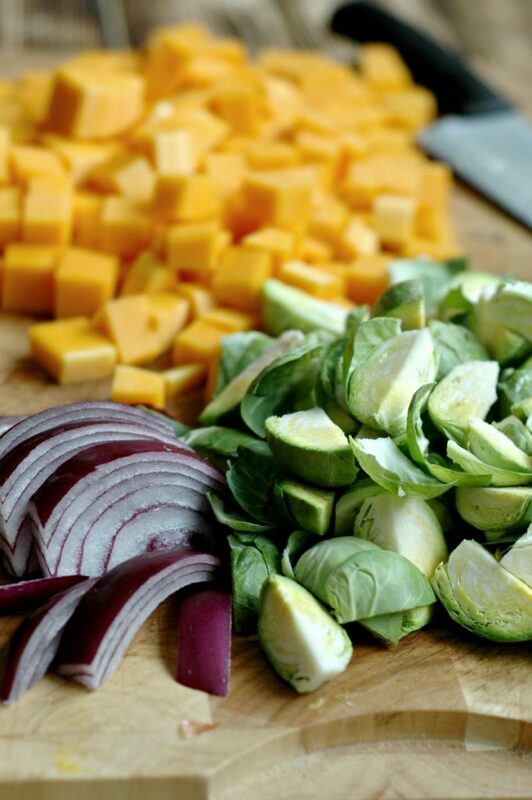 Alllll that veggie prep…how do I do it on a busy schedule?! I’ve got you covered, dear momma! I certainly don’t have time to be in the kitchen all day, but it is worth taking at least some time to get some real food on the table. If you really want to make it happen, it can be done! Here are some tips! Prep the veggies the night before. I timed myself prepping the squash and brussel sprouts for this recipe, and it took me under 10 minutes. That is do-able before bedtime – and you can have the kids help you! I picked veggies for this meal that wouldn’t go bad getting cut up the night before – just pop them in a container with a lid and all you have to do when you get home from school or work is dump it on the tray. Train the kiddos! Yes, dear momma! 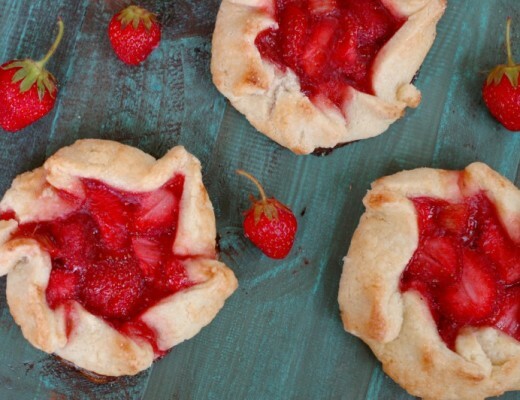 Get those little sous chefs in there to help you out. Put it on the big kids’ chore list to peel the squash when they get home from school, and have the littles scoop the seeds out. Whatever works. And let this be a message to my mommas with littles that are reading this…train them NOW, so that when life gets even busier when they start school (YES you heard that right – it gets BUSIER when school starts! ), you have some trained helpers to get the meal on the table. You can also buy veggies like this that have been pre-cut – if that makes your life easier, it fits in your budget, and it lands this recipe on your dinner menu instead of take-out, go for it my friend! Treat yourself to some sheet pans for your new sheet pan dinner menu! I use sheet pans more than almost anything else in my kitchen. Having 3 or 4 large sheet pans is a must in my kitchen, and you’ll see at the bottom of this post there are SO many different ways to make a sheet pan dinner – lots of variety! ALSO! 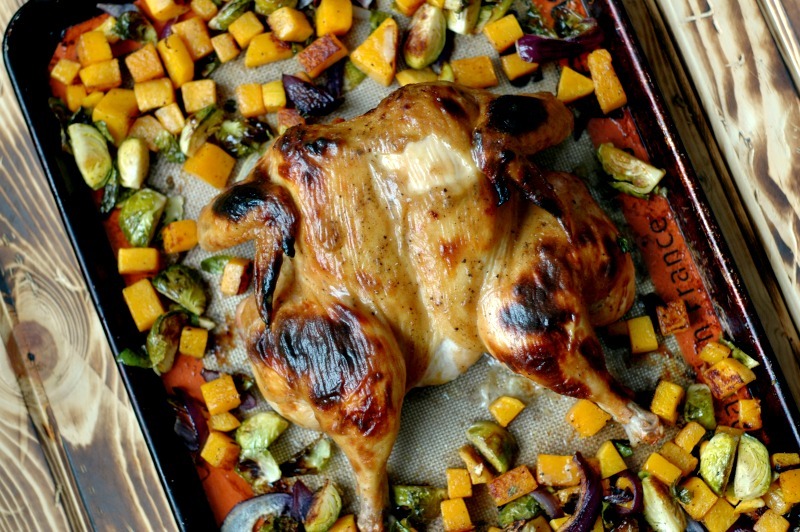 You will want to roast your veggies on just the baking sheet – do not use a Silpat mat or parchment paper. They will steam this way and not roast, and you want that roasted flavor. You can roast the chicken on a silpat for easier clean up. The Silpat mats are also great for baking on your sheet pans. Also love those magical “warm” winter days for a walk with kiddos — so wonderful at this time of year! 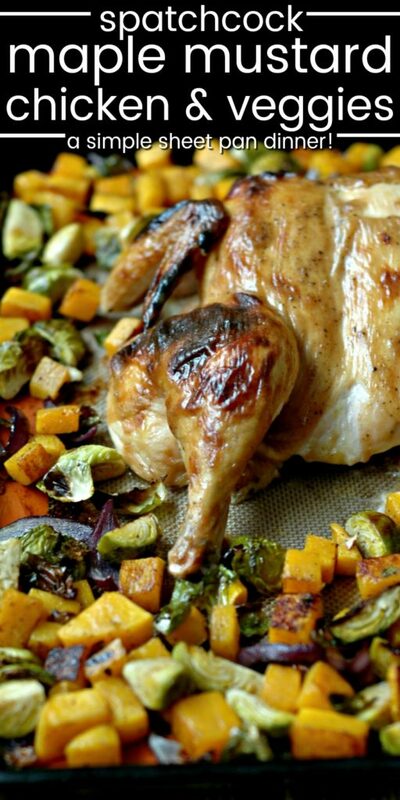 Spatchcocked chicken is my go-to way to roast a whole chicken and the flavors sound ON POINT for the recipe! Also love that you get to cook the veggies at the same time. So easy! 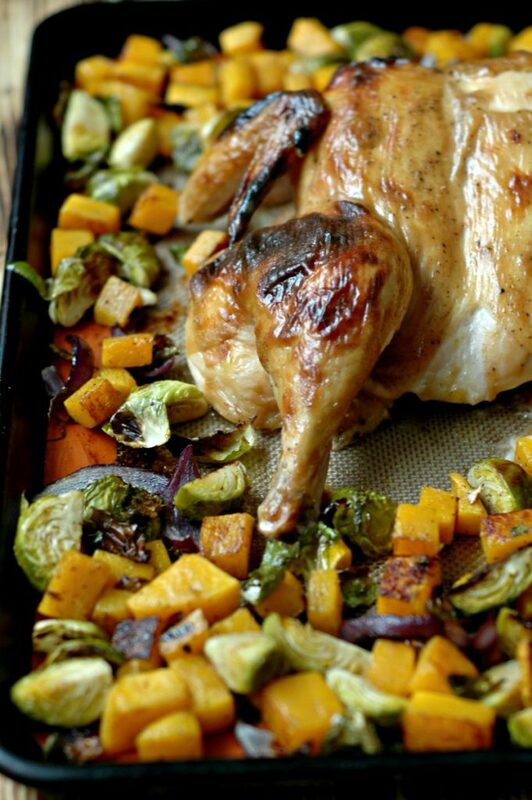 mustard and maple is a fantastic flavor combo, this dinner looks easy and flavorful! Sheet pan meals are my fav! I’m going to try this sauce the next time I make a chicken. Thanks Renee! Sheet pan dinners ARE the best, and so are the flavor combos here! Gosh you live in a beautiful town. That gorgeous water!! Sweet photos of your family as always and that chicken! This is the perfect sheet pan meal. I love that it’s packed with roasted veggies (the best!) and that maple mustard flavor is so perfect with the chicken. Yum! I’ve always wanted to learn how to spatchcock a chicken. Looks so juicy and tat skin to yummy! I’ve never spatchcocked a chicken before! So nervous. Haha. I still have to try spatch cooking a chicken. Looks easy enough and love the veggies with it. This looks so yummy and simple! I love the process shots with directions on how to spatchcock a chicken and the marinade is divine! This is perfect because I just love maple and mustard and already have everything I need to make this! All of this is one of my favorite dinners! 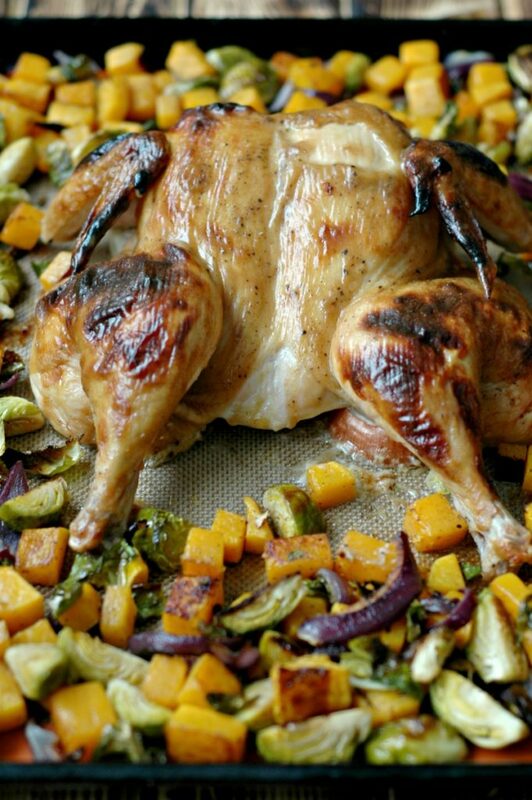 Love chicken and roasted veggies, but thank you for teaching how to spatchcock, because I’ve been intimidated by it! So yummy! I’m so happy I came across this recipe. I have a whole chicken defrosting in the fridge and I haven’t been able to make up my mind on what to do with it. Giving this a try over the weekend! How could I not after seeing these photos?!? 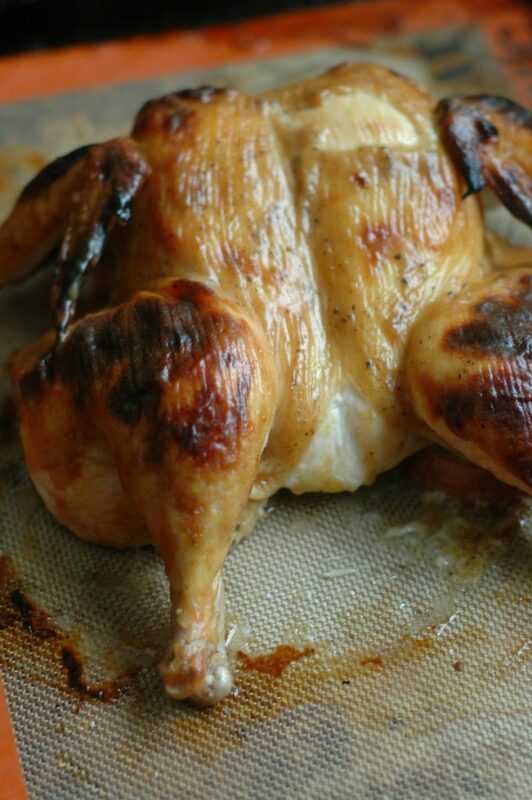 Spatchcock is my favorite way to roast a chicken. 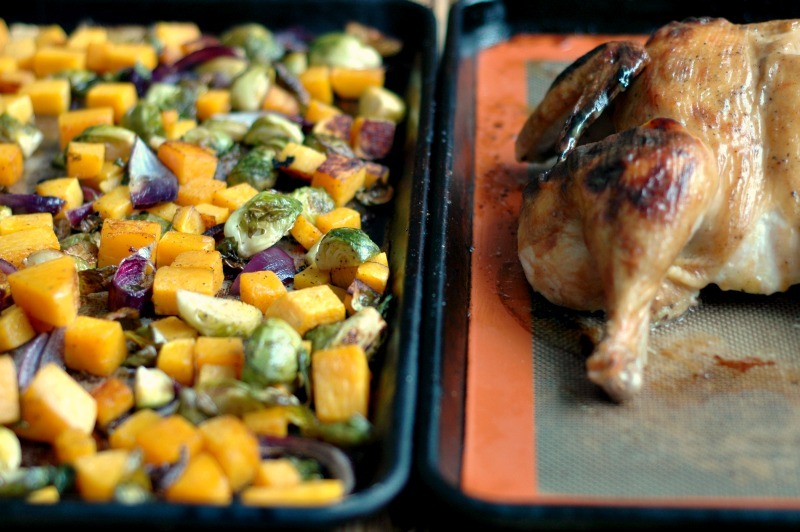 Though, this sheet pan is on my weekend menu because of those veggies… yum!!! 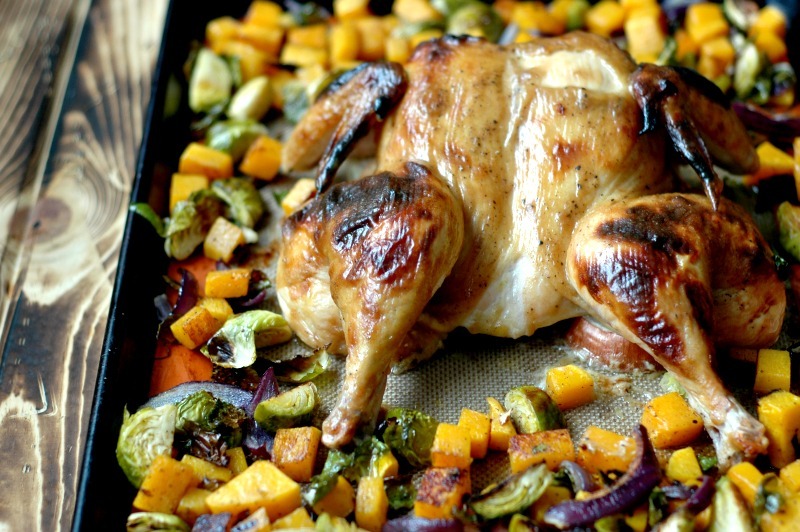 You can’t go wrong with chicken and roasted veggies, even better when cooked all in one pan! 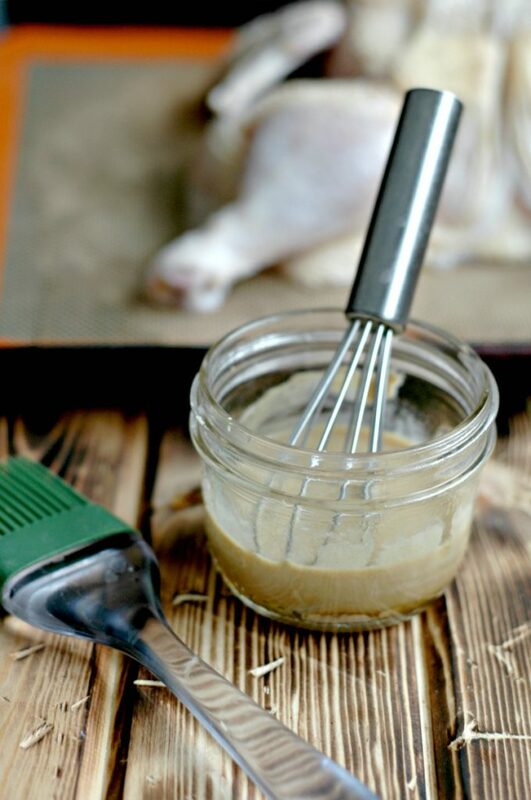 Maple mustard sauce sounds divine, have put this on my list to try over the weekend. I love all the delicious flavor in this recipe. 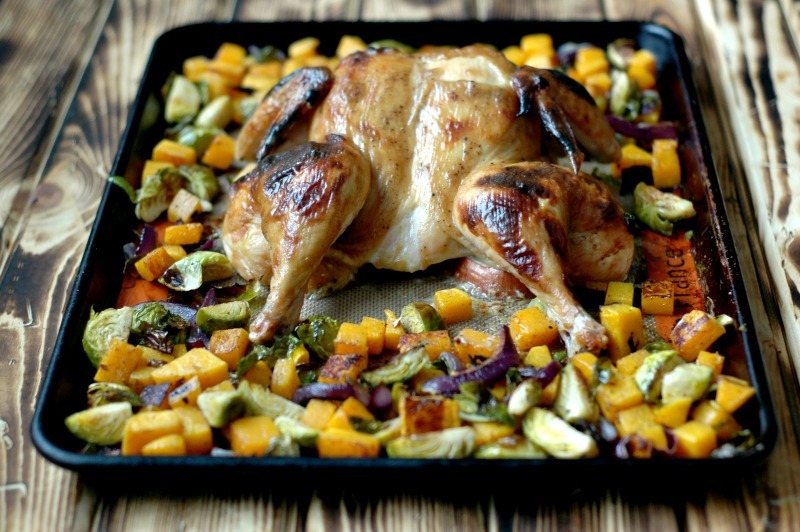 Roasted spatchcock chicken with winter veggies are the perfect combo! Oh wow, it’s beautiful . . and so easy all on one pan! 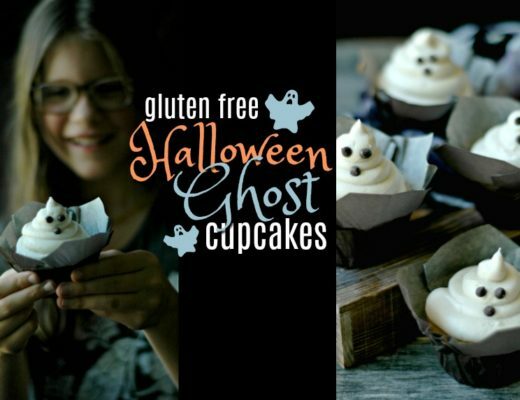 will definitely try! That looks like the perfect dinner for January thaw! I love that it’s all in one pan. This recipe not only looks delicious, but I also love the easy and quick meal planning tips you share in the post. Thanks for all the info! I’ve always wanted to make spatchcock chicken! Maple mustard sounds amazing.